Clare runs a arts business called Faerieclare Art. due to her love of reusing and recycling wherever possible. 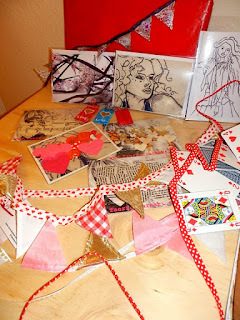 attached to presents for a loved one specially with valentines coming up. Alice in Wonderland themed party/wedding. cards I wish I was as talented as her with her drawings. All her cards retail at £1.50 each. for one lucky follower so enter below for your chance to win.